trained personnel will be preferred. The candidate should have passed Matriculation or its equivalent from a recognized board or university for unskilled trades (i.e. Sweeper). Educational certificate other than State Board/Central Board should be accompanied with Government of India notifications declaring that such qualification is equivalent to Matric /10th class pass for service under Central Government. Application Fee is exempted for ST/SC/Ex-S Candidates. The age of Appliers should be between 18 to 23 Years As on 01-08-2017. Relaxation in age will be decided as per norms & orders issued by government. 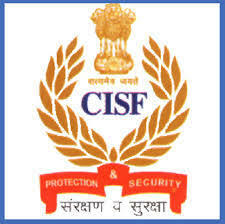 First and Foremost step is to visit the Official website that is www.cisf.gov.in. Apply Online Before Date 20-11-2017. Online Registration Would Be Open From : 14-10-2017. Last Date of On-line registration : 20-11-2017.